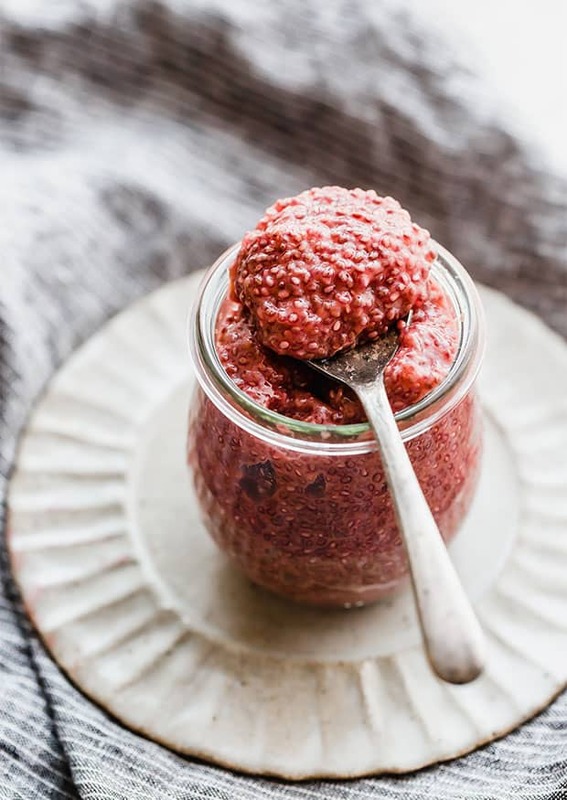 This Blood Orange Chia Pudding is the perfect healthy breakfast or snack recipe. 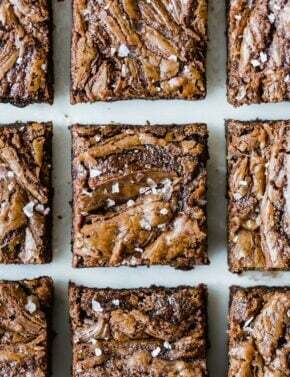 It’s gluten free, paleo, and dairy free. 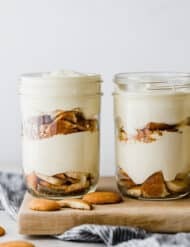 To make this a vegan chia pudding eliminate the honey for maple syrup or agave. 2019 was the year I tasted a blood orange. Can you believe it?! I had never purchased, tasted, or touched a blood orange until just a few weeks ago. Not only is the fruit beautiful and naturally stunning, it also tastes delicious. It’s sweet and juicy, everything you could want in an orange. The citrus flavors from the blood oranges add a deliciously sweet tang to the chia seeds. Sooooo, if you’re like me, and you’ve yet to taste a blood orange, head to the grocery store and grab a bag full of them. 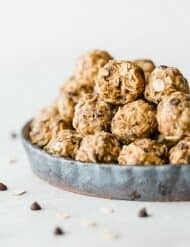 We are going to make this unique and easy chia pudding recipe. 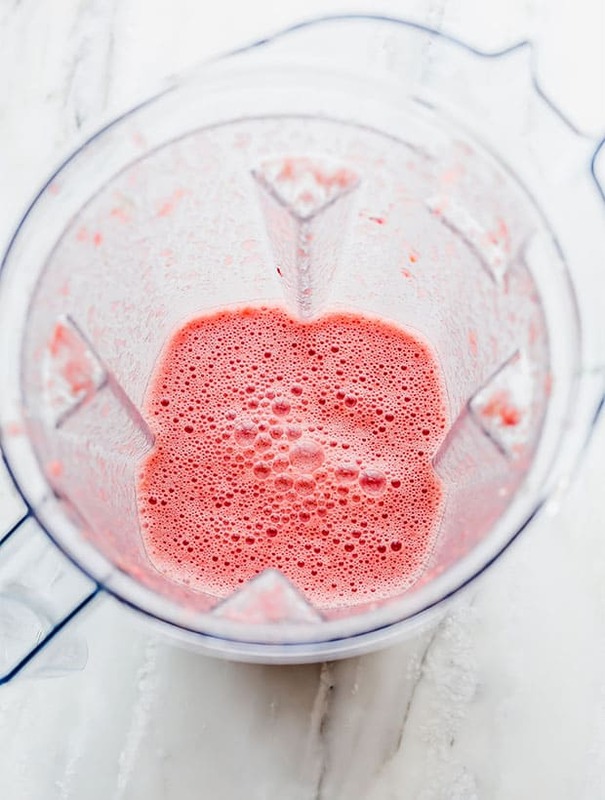 Add 3 peeled blood oranges, almond milk, honey, and vanilla to a blender. Blend the ingredients until smooth. Pour the pureed liquid from the blender through a fine mesh strainer into a bowl, jar, or large cup and discard the pulp. 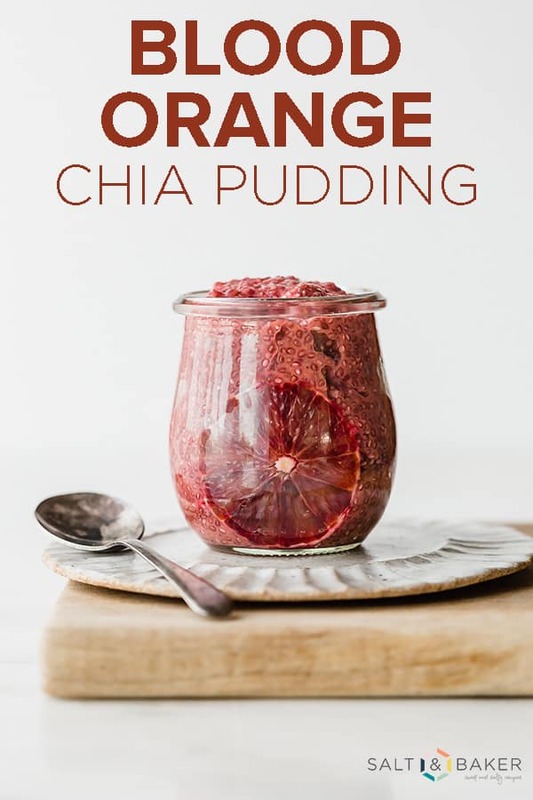 Add chia seeds to the freshly strained blood orange liquid and stir. Pro tip: Don’t be lazy when stirring in the chia seeds. 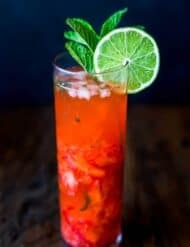 Thoroughly mix the chia seeds into the blood orange liquid. 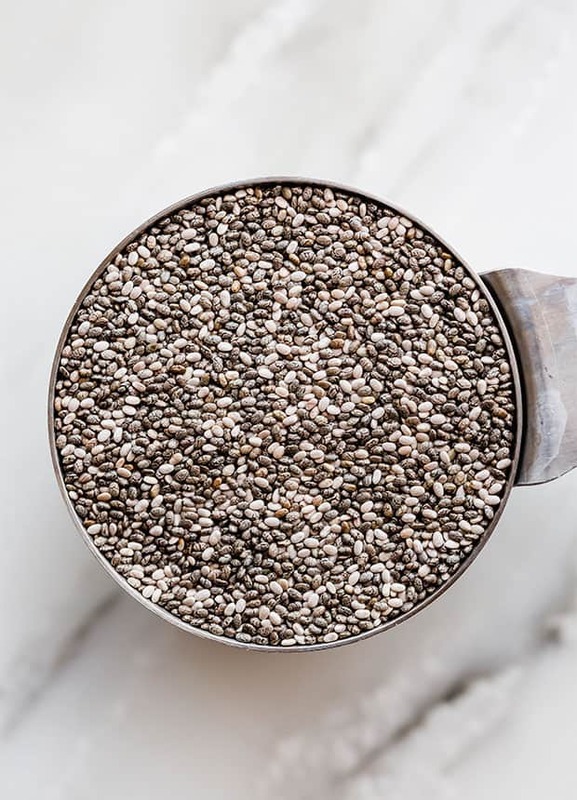 Mixing everything will prevent the chia seeds from clumping. 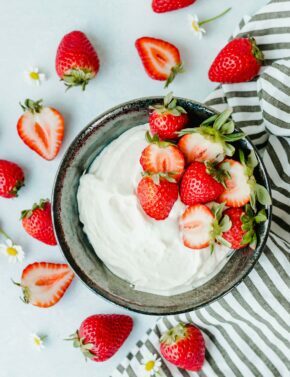 Cover the chia pudding and place it in the refrigerator for 6 hours or overnight. 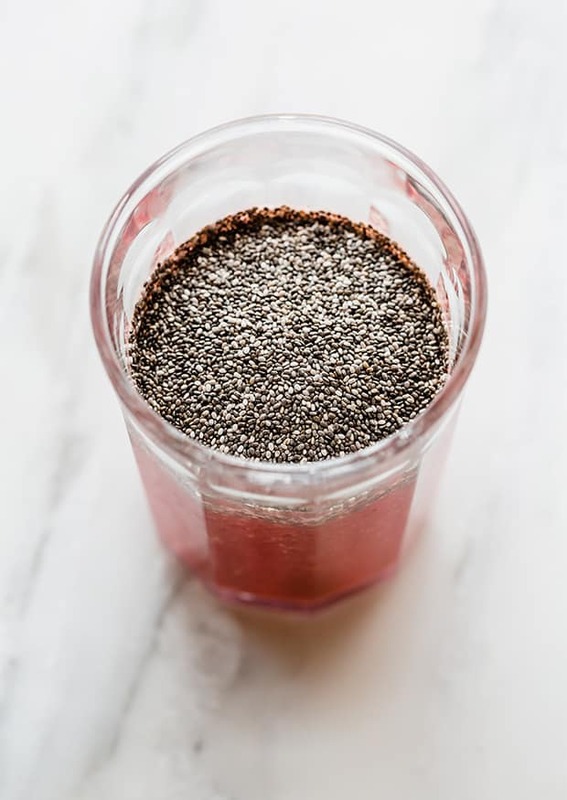 When ready to eat it, give the chia seed pudding a quick stir to fully incorporate the ingredients again. You can top the pudding with granola, extra fruit, and honey. 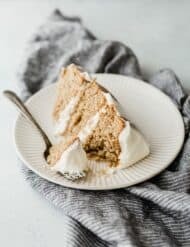 Bonus tip: To make this recipe vegan, eliminate the honey and replace the sweetener with maple syrup or agave. 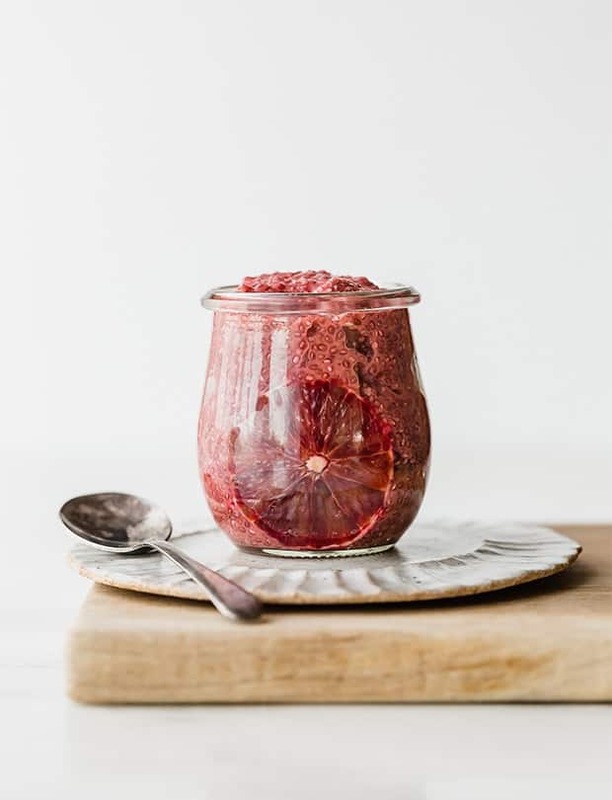 This blood orange chia pudding is a delicious and healthy breakfast option. You can make it the night for and store it in the fridge for multiple days! 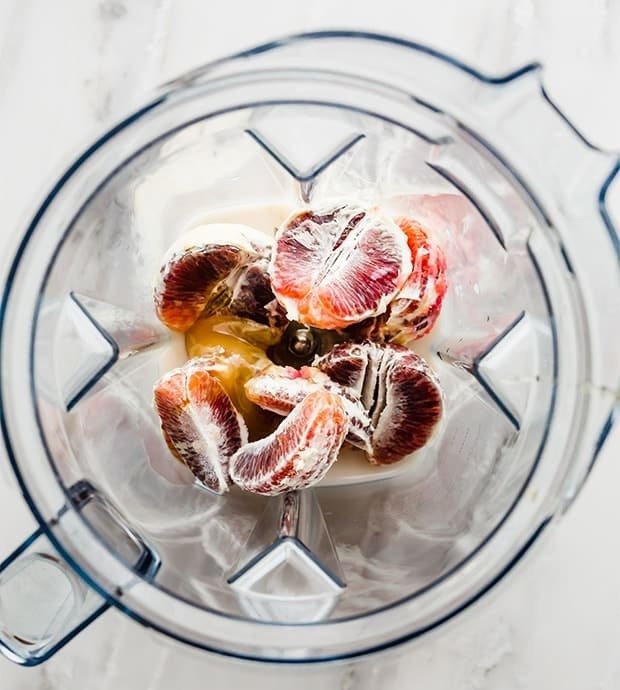 In a blender, combine the peeled blood oranges, almond milk, honey, and vanilla. Blend until smooth. In a medium size bowl, pour the liquid through a fine mesh strainer. Discard the pulp that was accumulated in the strainer. Add the chia seeds to the strained liquid and stir to combine. 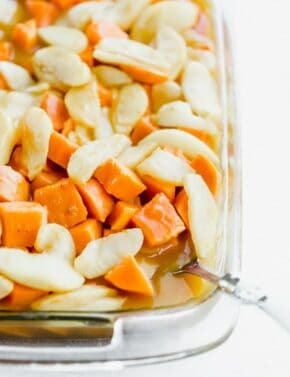 Cover with plastic wrap or a lid and refrigerate for 4-6 hours or overnight. Remove from the fridge and stir. 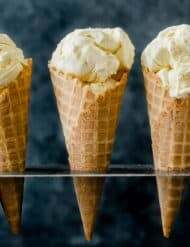 Top with granola, fresh fruit, or additional honey.